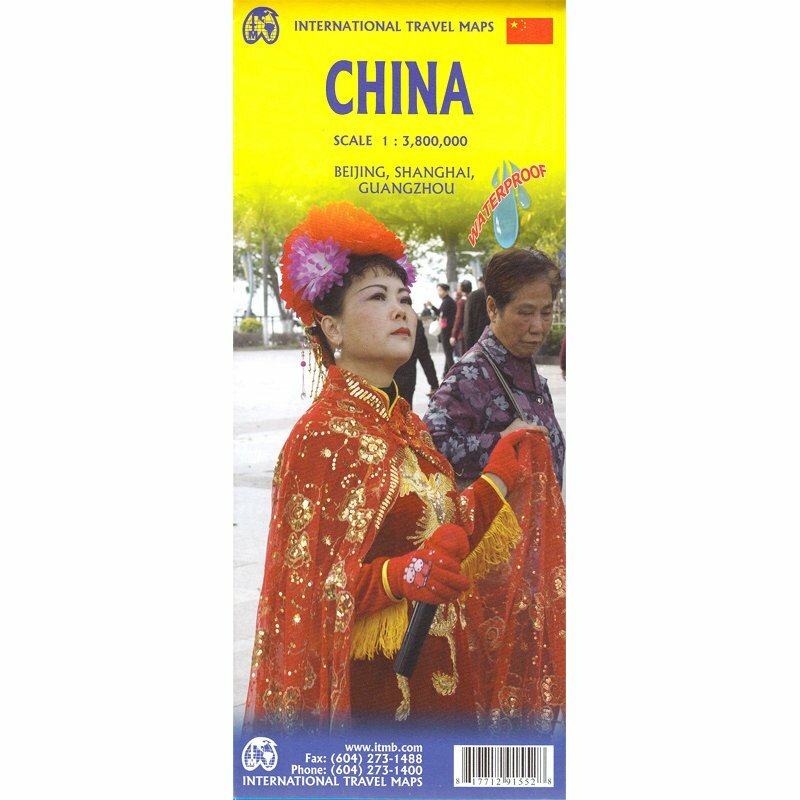 Description by ITMB: China is the third largest country on earth and is changing rapidly from a 'peasant' society into an urban society of growing sophistication. This country must be the Number 1 travel destination in Asia. 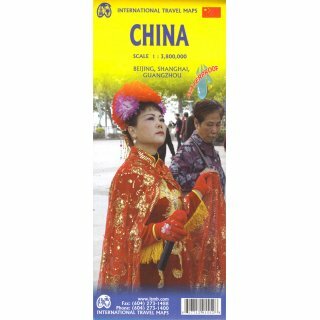 Culturally significant, developing rapidly, open to Tourism as never before, China is a very difficult country to map. We do so every two years, to bring recent changes into perpective. 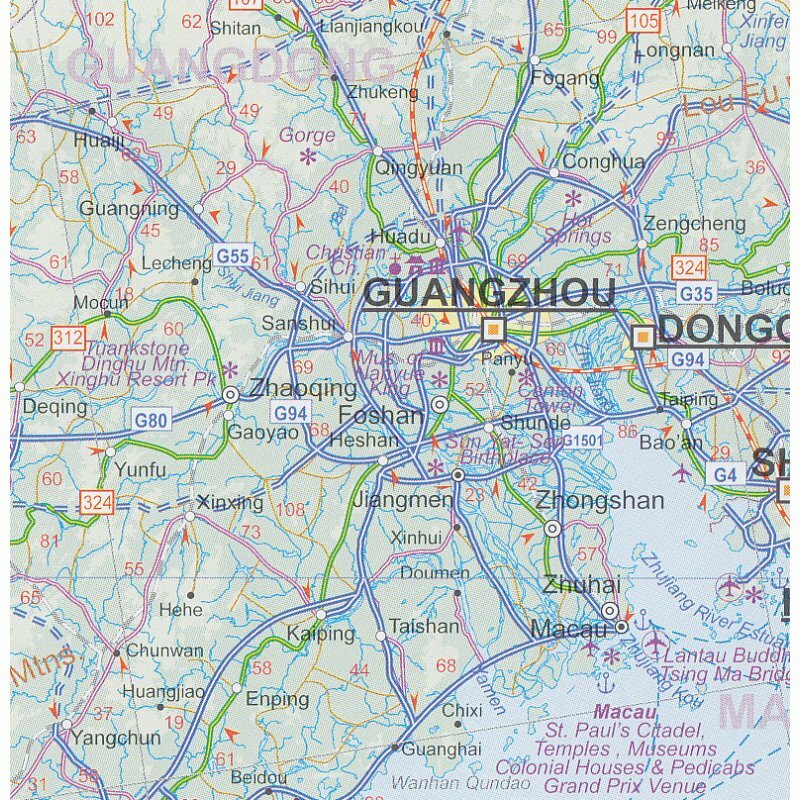 This edition is very timely, in that many of the massive highway-building exercises have been completed. 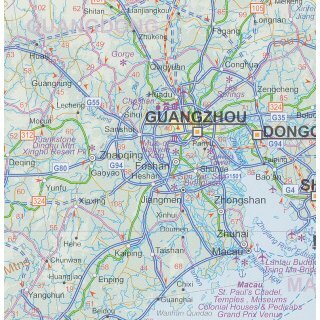 The map also includes good inset maps of the three largest cities - Beijing, Shangai, and Guangzou.